Today’s heist might just save the world! 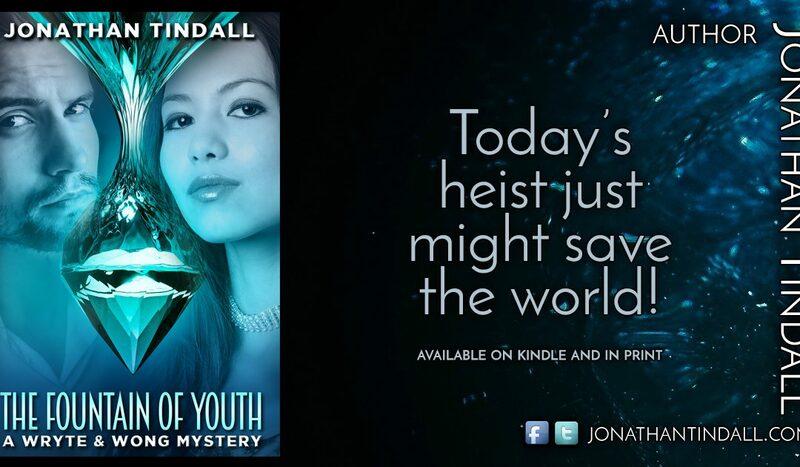 Dive into the adventure and read the new adventure mystery novel The Fountain of Youth, a Wryte and Wong Mystery by author Jonathan Tindall. Start reading this right now with the Kindle Edition! I can hardly wait to get my hands on this!!! Want to grab a copy of The Fountain of Youth, a Wryte and Wong Mystery?